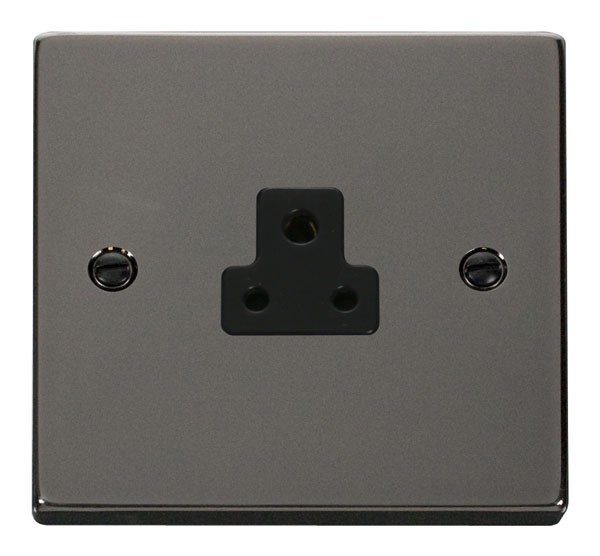 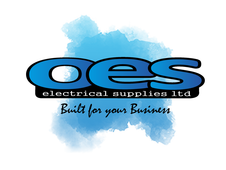 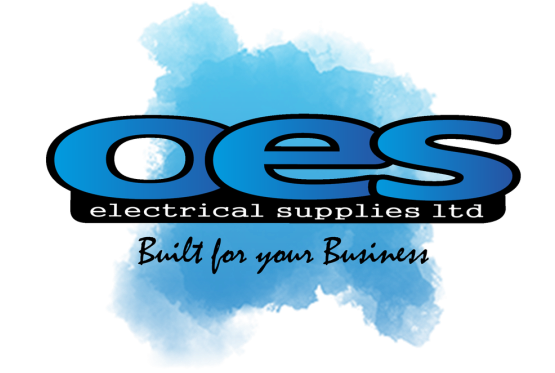 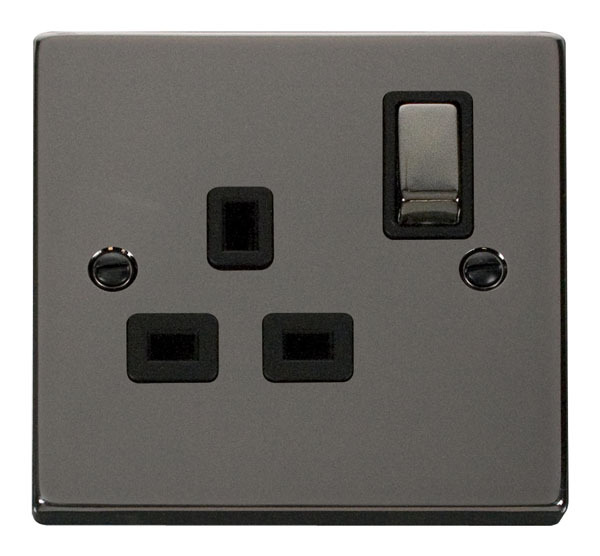 Click Victorian Black Nickel 1 Gang 13A DP ‘Ingot’ Switched Socket Outlet with black insert. 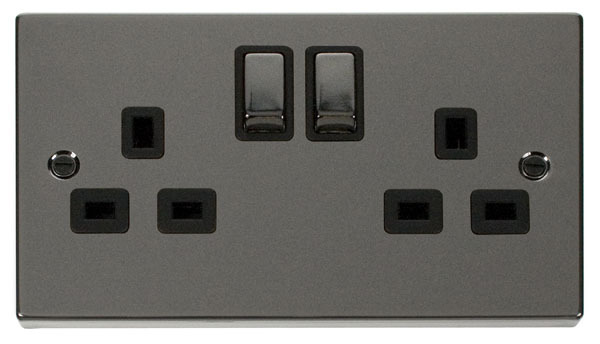 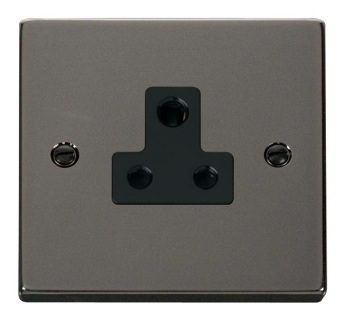 Click Victorian Black Nickel 2 Gang 13A DP ‘Ingot’ Switched Socket Outlet with black insert. 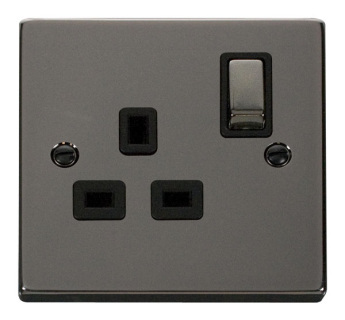 Click Victorian Black Nickel 5A Round Pin Socket Outlet with black insert.